Sydney, Australia is famous for a few things like being the most populous city in Australia, the Opera House, the Sydney Harbour and Bridge and a whole lot more. It is also known for its stunning city skyline which is best to be seen from the harbour or from somewhere like the spectacular Shangri-La Hotel in Sydney. 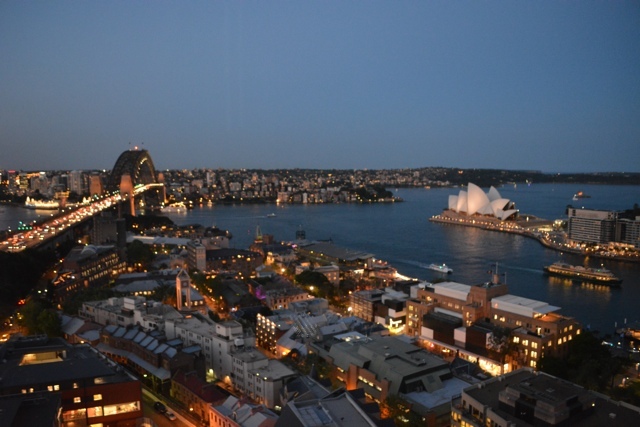 The view of Sydney from my room on the 20th floor. Towering over the downtown Circular Quay and Rocks area of the city this hotel offers some of the most spectacular views which you can either enjoy from your room or at the very least while enjoying a cocktail on one of the top stories at their bar Blu Bar on 36 or in their restaurant aptly named “Altitude”. 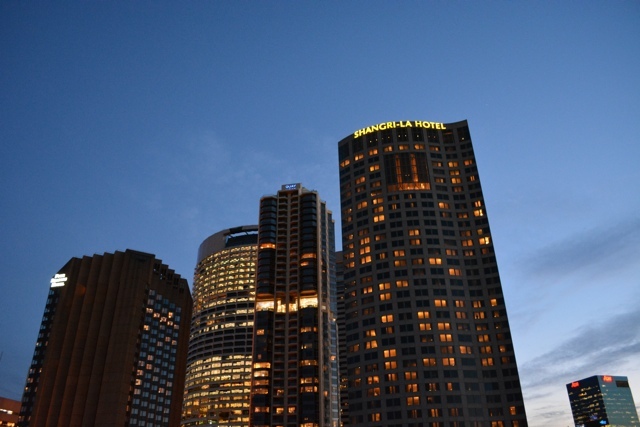 The Shangri-La is a high end hotel known to be a popular place for celebrities and Royals (like Prince Harry) to stay. It might be at the top of your budget or beyond however it is definitely one of those hotels that you just need to splurge on for a couple of nights for the luxury if not for the awesome views you can wake up to. 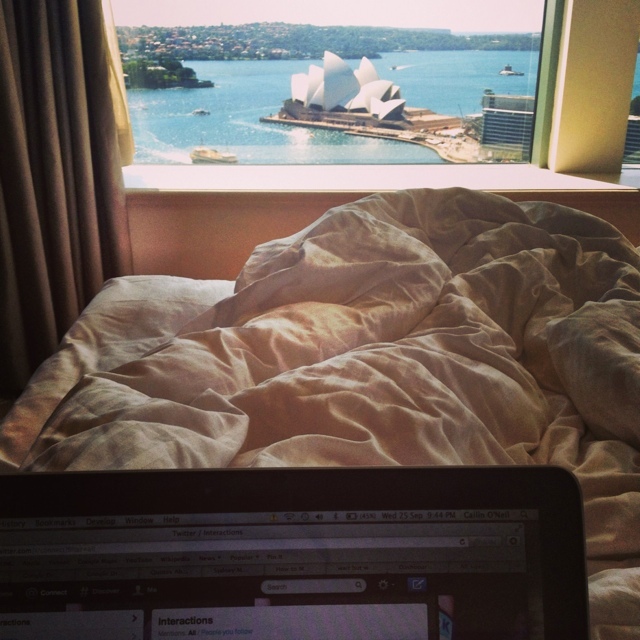 The view from my bed at the Shangri-La Sydney Hotel. A few of the amazing pastries served at High Tea in the lobby. 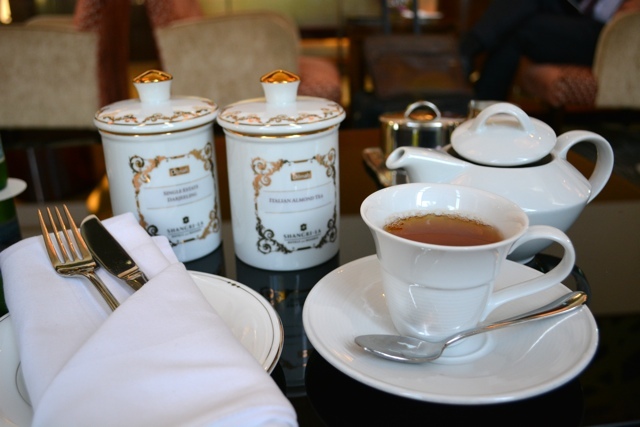 A charming tea set with various types of teas available for the choosing. 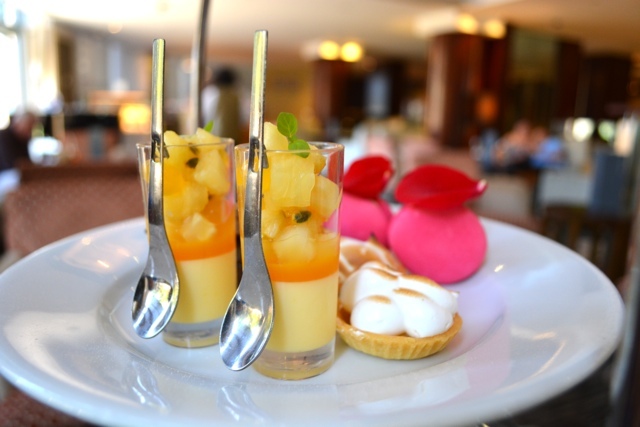 The property has a large lobby area with plenty of seating where you can enjoy a few drinks, high tea, pastries and in the evenings a nice tapas menu that features oysters. On the first floor is Cafe Mix which is great for breakfast. It is an all day restaurant that offers a full menu of comfort foods and Asian dishes as well as a buffet. At the top of the hotel on the 36th floor is the Altitude restaurant offering gourmet food by award winning chefs, if you plan on eating here you might want to reserve a spot a few days ahead. Just next to the restaurant is Blu Bar on 36, a cocktail lounge in the sky which offers stunning views of the harbour and darling harbour. 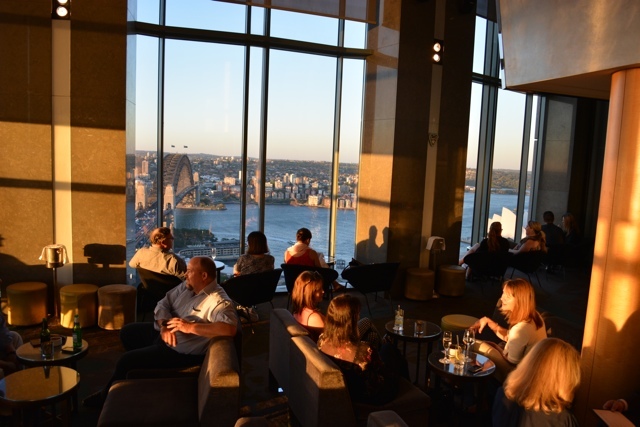 The Blu Bar opens at 5pm and its recommended to get there early for a good view. 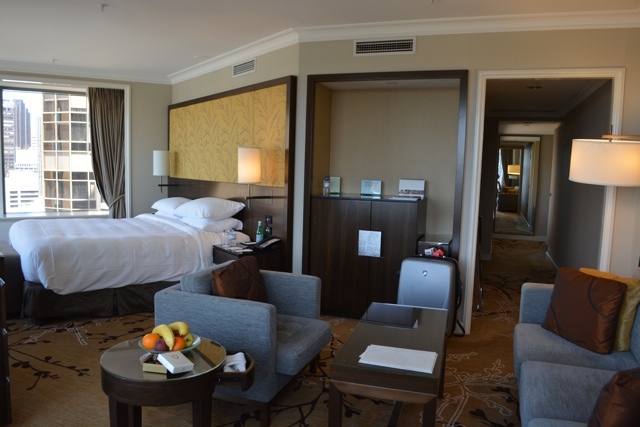 The hotel of course has gorgeous rooms as you can see in the attached video. If you can I highly suggest requesting a corner room for the best views. 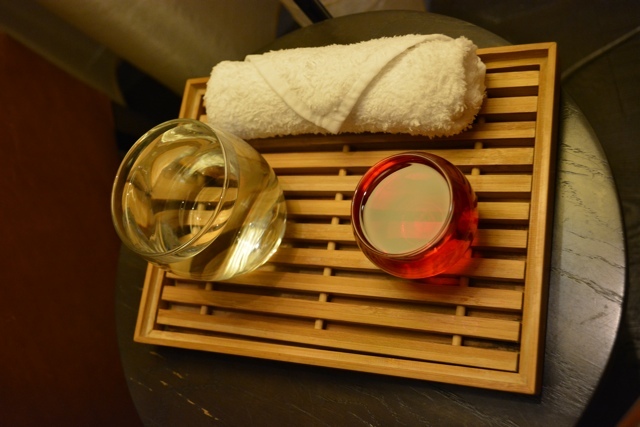 If you need to get away from the hustle and bustle of the city while you are staying at the Shangri-La they also offer a gym, pool and spa called the CHI Spa, where you can pamper yourself for days. I opted for a body scrub. To learn more about the property be sure to watch my video from my stay. Travel safe. Hi! Your review is fantastic. Thanks for sharing the experience with us.